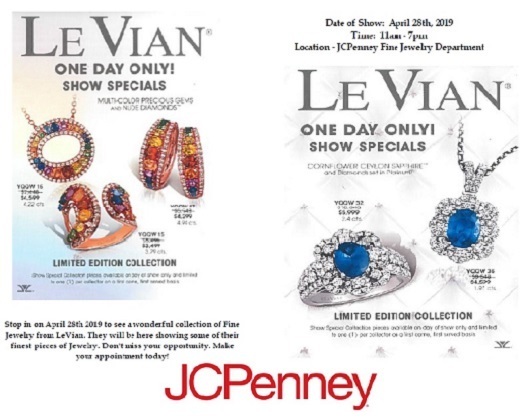 Stop in on April 28, 2019, at the Fine Jewelry Department- Lower Level to see a wonderful collection of Fine Jewelry from LeVian. They will be here showing some of their finest pieces of Jewelry. Don't miss your opportunity. Call 623-412-1121 ext 310 to schedule your appointment.